Labor Day is this weekend, and though clearly it is a weekend to honor not just every member of the work force, but especially those who paved the way for worker’s rights (like unions), as well as those who lost their lives or have been injured on the job. But even more maninstream, it is the time of year that many celebrate the end of summer, one last hurrah with the family before children go back to school and the seasons begin to change, most noted by the earlier sunsets. 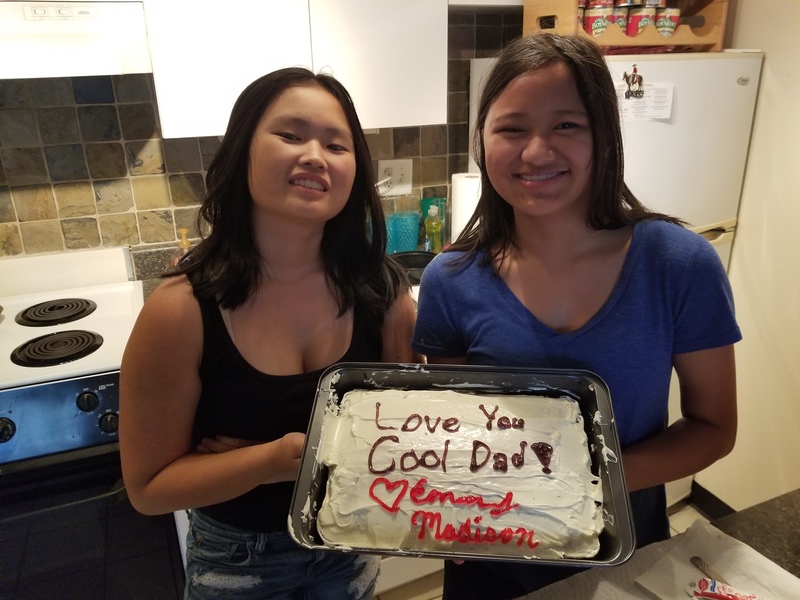 But if there is one thing that will make this summer better than most of my other summers, it is the time that I got to spend with my daughters. As with all of my custody periods, my efforts are always to remind them, that I am the same Dad who held them the first time, and in spite of many health issues I struggle with, I am so more to them. If there is one thing that can be said and most true about me as a father, is that I am consistent. 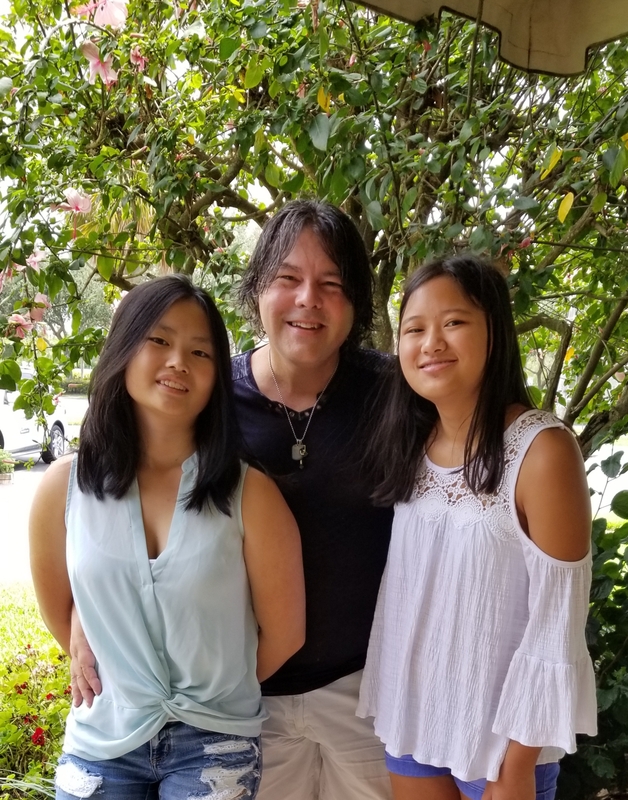 My daughters know that they can count on me, talk to me, and trust me that I will do all that I can to help them prepare for their future and rapidly approaching adulthood. 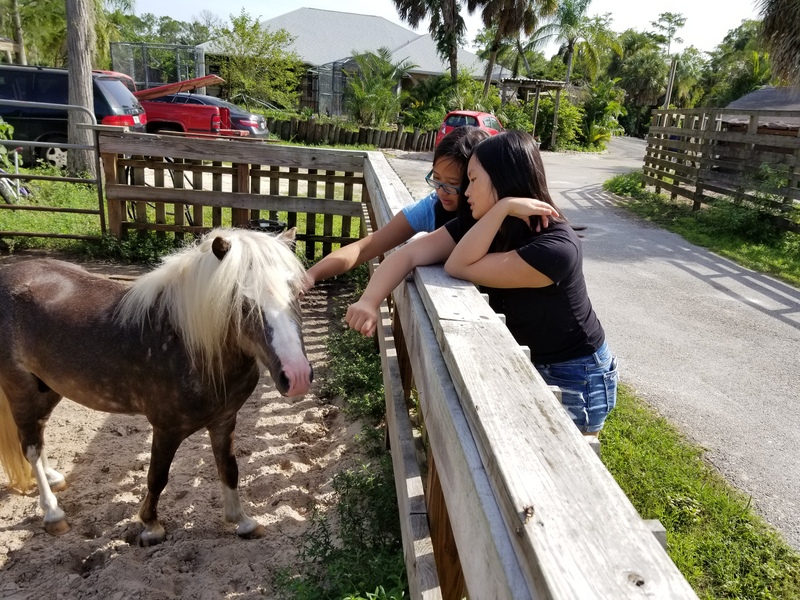 From the time they could walk and talk, they were taught the importance of being empathetic to everyone, and this includes both humans and animals. Both of them have been raised to always do for others before themselves, and they go even further that our fur friends also need help. 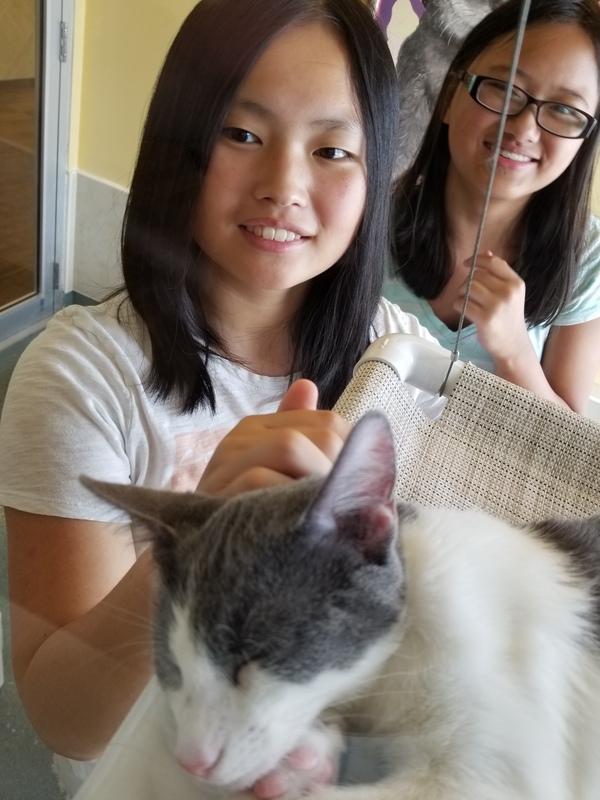 We spent a lot of time visiting shelters and sanctuaries, where, without time constraints, they were allowed to keep as much company with everyone as they could. 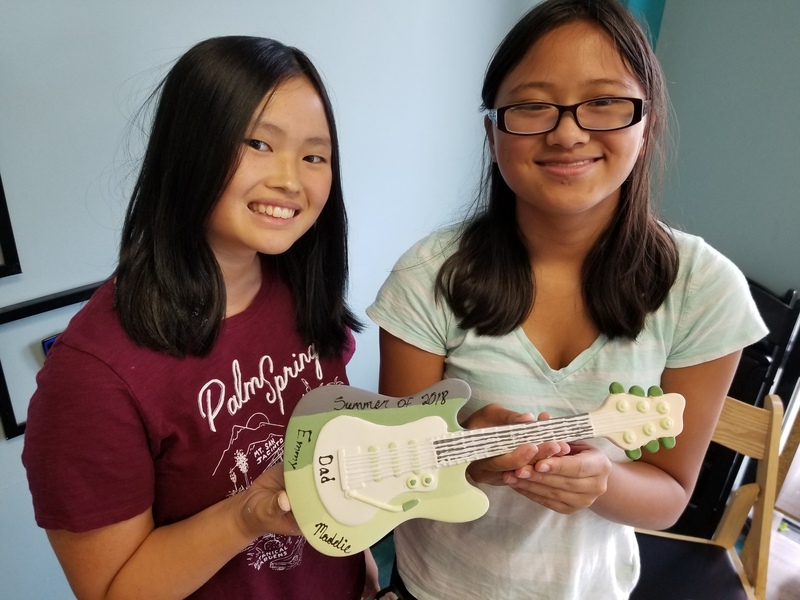 But a new project, and one I think they will want to do again, is help in the preparations of a fundraiser, done to help feed the hungry where I live. It is a huge “soup” festival, and over 4000 ceramic bowls are needed for this fundraiser, and needed to be painted. 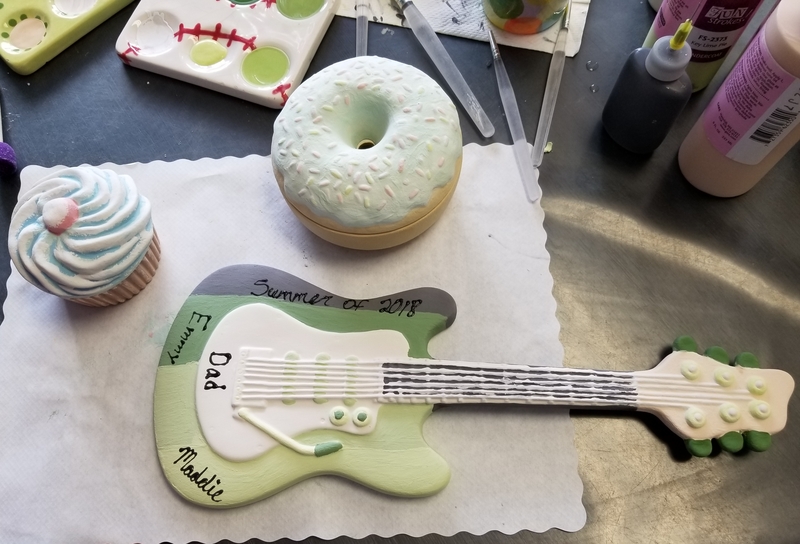 Everyone paints exactly what they want, and the organization does the rest with firing the bowls, and then of course there is the big event. Although I would describe myself as strict, especially when it comes to their education, my daughters burst my bubble by saying I am far from it. 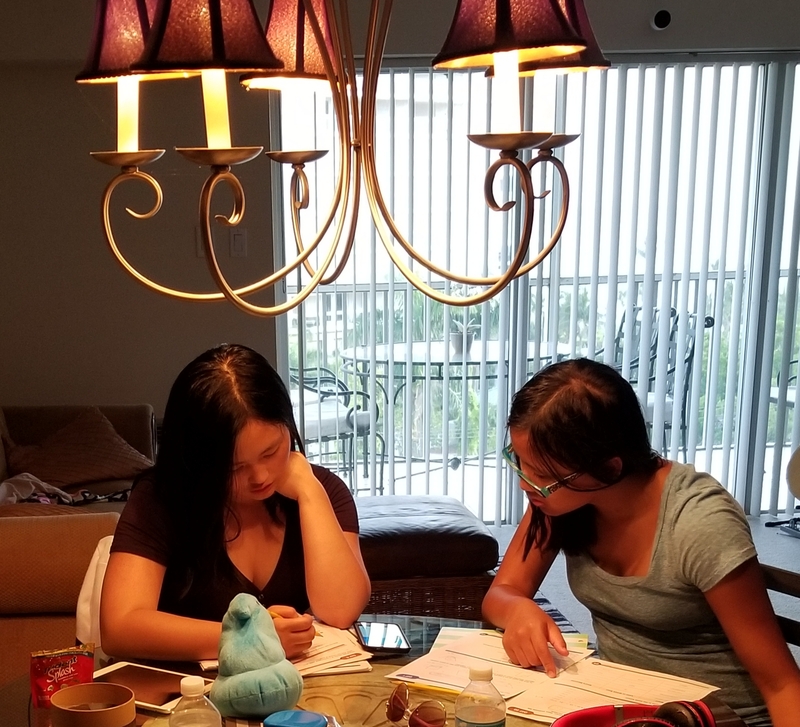 This, is in spite of the fact, that as I do every summer, I give them workbooks to help study and prepare for the next school year. Along with this, as they have gotten older, this year was the first year my oldest had mentioned getting a job. So I got to help her with applying for jobs, and even help her understand the good and the bad of the first interview that she got, and to build on it. This year, they even completed an on-line babysitting course, in the event that is how they would like to earn some money. But it was not all pencils and books. 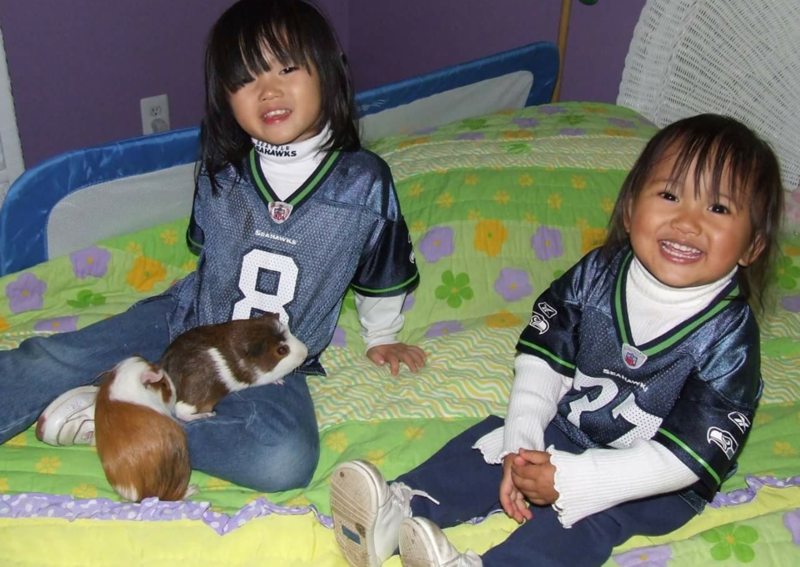 This was a bonding period for my daughters. 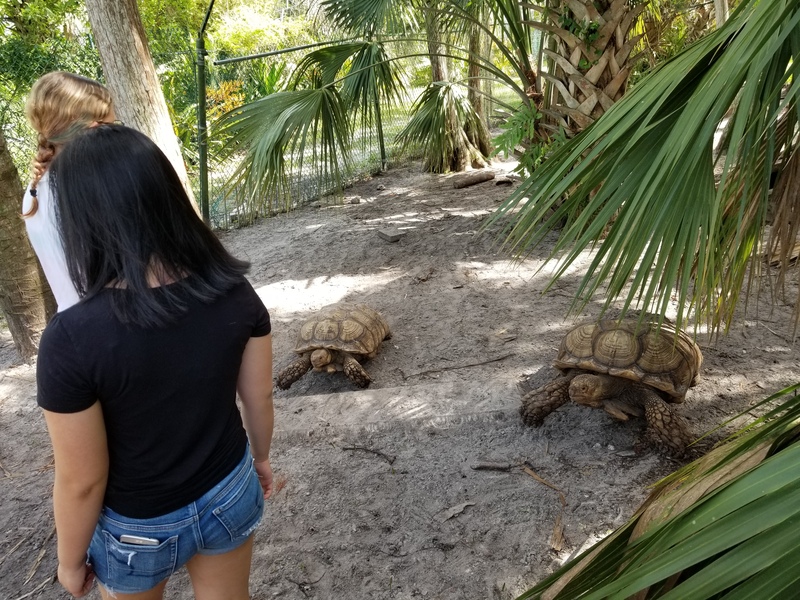 For nearly the entire time, my daughters were with each other, helping each other, playing with each other, laughing with each other, caring about each other. It was not all work and teaching while they were visiting though. Under normal circumstances, living in the Sunshine State, we would have been spending a lot of time on the beach. However, we have been, and still are dealing with serious water issues that are destroying much of our sea life creatures. And rather than risk what could potentially harm humans, we found a way to do other things. 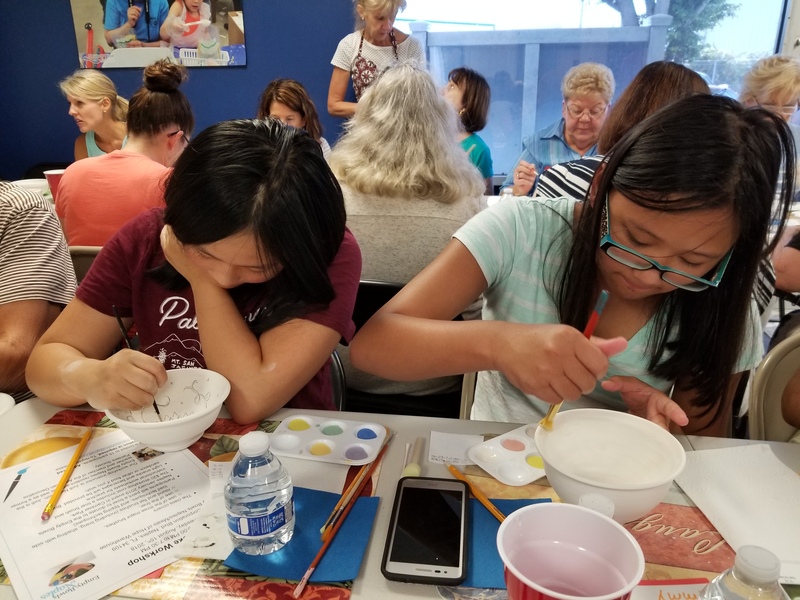 The girls enjoyed painting the bowls so much, we went and did an actual class that we got to keep our craft (note – first time I have ever done ceramics…and for a reason obviously). We visited some friends. I watched both of them play and interact on Minecraft, though honestly, I do not understand the game at all. One thing I did learn about the game however, was that it helped both of them to work out compromises, how to assist, and how to compliment. Both daughters have very defined interests too that I witnessed many times. One daughter is an aspiring artist and has ridiculous humility with just how good she truly is. My other daughter loves to cook. I had no problem giving her every opportunity and assist her, not her assist me, for some wonderful tasty treats. We watched a variety of things, and always with some sort of discussion, whether it was for pure amusement, or a life lesson. We watched movies that they had read books for, like “To Kill A Mockingbird” and “The Outsiders.” The Outsiders spurred an idea, to show them how far those actors had come, and all of a sudden we were watching other classics like “Breakfast Club” and “Ferris Buehler”. Then there were movies we watched that really gripped their imagination like “ET,” “Poltergeist,” and “Ghost.” We got silly with “Airplane” (which my youngest daughter has now mastered the one-line comeback skill), “Moana,” “Showdogs,” and “Dude Where’s My Car.” My oldest could have done without “Weekend At Bernies” because she just got so frustrated that no one could figure out, Bernie was dead. Three movies that brought out a lot of Q&A, were “The Greatest Showman”, “Wonder,” and “Planes, Trains, and Automobiles.” P,T,and A was especially a chatty review because they understand that is often how I travel when I go to see them, though without the mishaps. Something that we started doing last year, binge-watching series, took a different turn this year. Last year, I watched five seasons of an animated series they both liked, but this year, they got me into Netflix, and we watched two seasons of “Stranger Things” together. Though an annual thing I could do without watching, “Big Brother,” this is a series they enjoy watching back home, and so that they stay up on it, I do watch it with them. And yes, you guessed it, many, many teachable moments on how not to behave, not just because it is on TV, but just because it is plain mean and not the way that I have raised them. 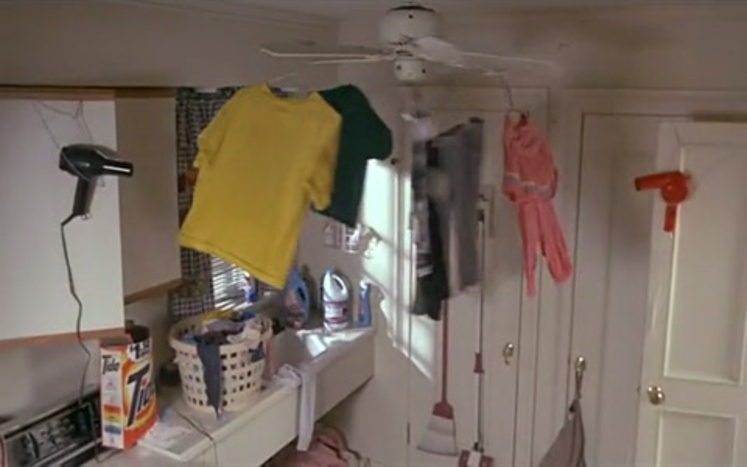 Just like I was always told not to put a cape on and try not to fly like Superman off the house, they understand that what they are watching are some of the worst qualities demonstrated, and that their parents most likely are not proud of the behaviors that they are witnessing. There were two movies that came out this summer, that provided lessons for both my daughters and myself. Critics advised that in spite of the R rating, parents and teens should see the movie “8th Grade.” What the critics neglected to say, was that it should not be with “each other.” The movie dealt with the struggles of young teens, of which I have too, and although I am in my fifth decade of existence, I do still remember what life was back in school was like. I viewed an “active shooter” drill during the movie, something I have no idea what it is like. 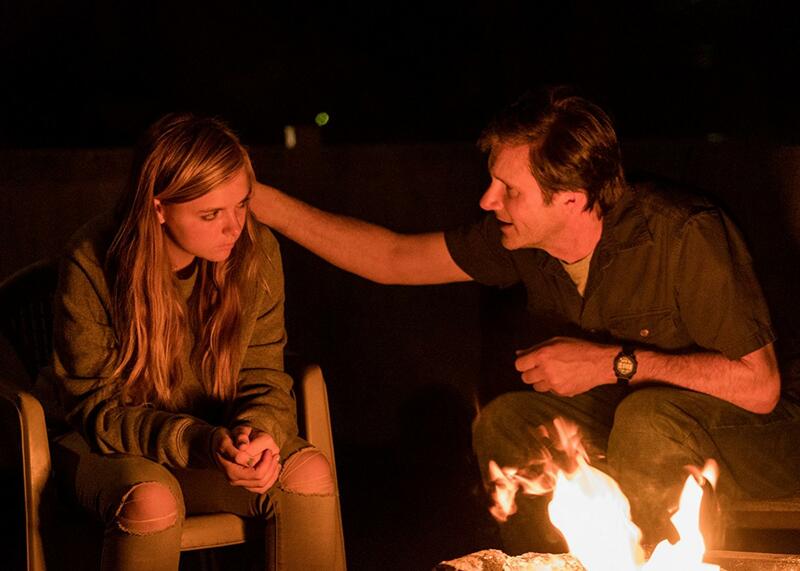 I also watched the struggles between a single father and his teen daughter to understand her life, her struggles, and her moodiness of course. Admittedly, I could have done without the one cringe-worthy scene, in which a boy pretty much challenged the lead character to be more and brag about more than who she really was, especially in a sexual way. 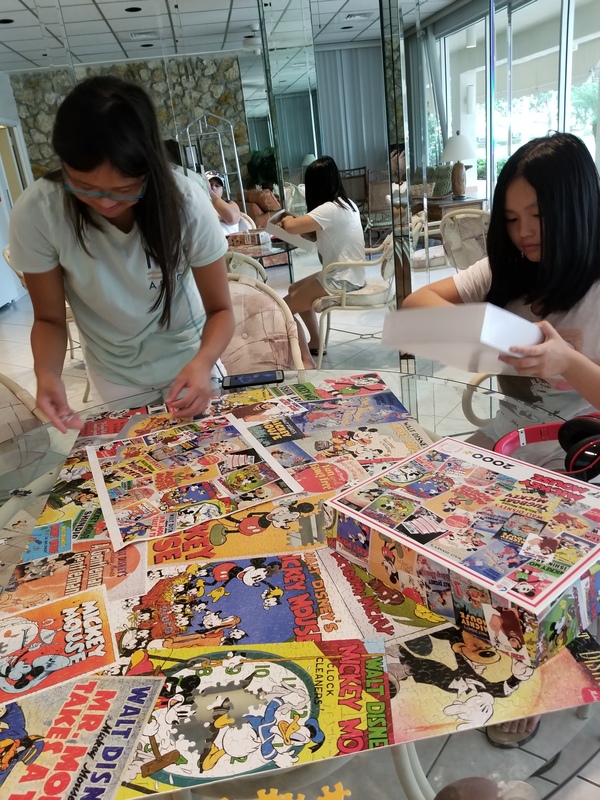 But later in the movie, the girl found herself in another dangerous situation, which started out with a harmless trip to the mall to meet friends. One teen drove them all home, but dropped everyone else off except for the girl. And then that is where my blood began to boil because I could see what was coming. But this also gave me the opportunity for me to point out to my daughters, while we adults may not always be cool, may not always seem like we know what we are doing, the truth is, we have been there, done that. The girl was horrified by what was about to transpire, and clearly was never in her plans when she left the house. But like I said, a very important teaching moment. 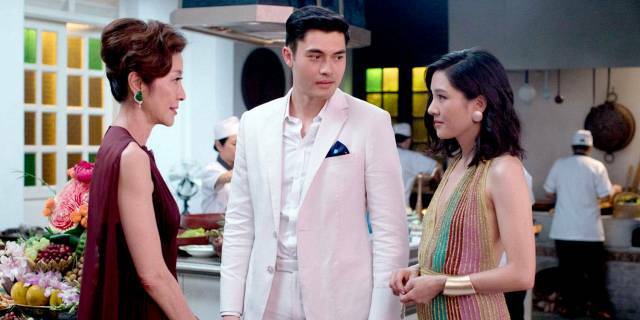 The other movie, “Crazy Rich Asians” was a request from my oldest daughter, not just because they are Asian, but she read the book for this movie. Being Asian, she is very proud of this movie that it the first all-Asian cast in over 25 years. Now for those who are not familiar with Asian traditions and such, the film carries the similar theme as “Big Fat Greek Wedding” which I guess is why it is so popular. But for my daughters and I, it gave all of us an opportunity to see many issues that may come up in their adulthood. In spite of them being adopted from their countries and brought here, the truth is, their background might not be well-received by others from their country. And when it comes to dating, that is a big concern. After the movie, I asked my daughter what she thought of the movie compared to the book. And while she liked the book, just as many movies do, she felt the movie missed two very important story lines covered in the book. To her, they were very important details. And though I tried to explain how those details may have changed the tone of the movie, not to mention need to add another hour for the accurate story line, she was not swayed. Overall, they both liked the movie, and as my oldest informed me, there are two more books, so surely that means two more movies. 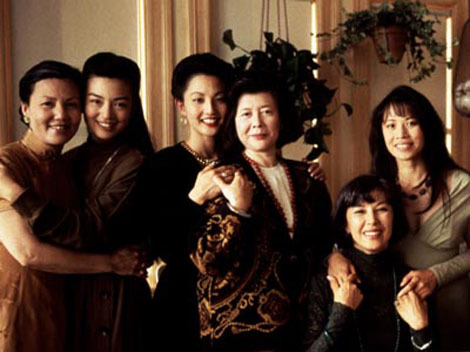 With my daughters intrigued by the Asian culture following “Crazy Rich Asians,” we watched the “Joy Luck Club.” This is a personal movie for me for a couple of reasons. The main one is that the characters gather after being apart for so long. 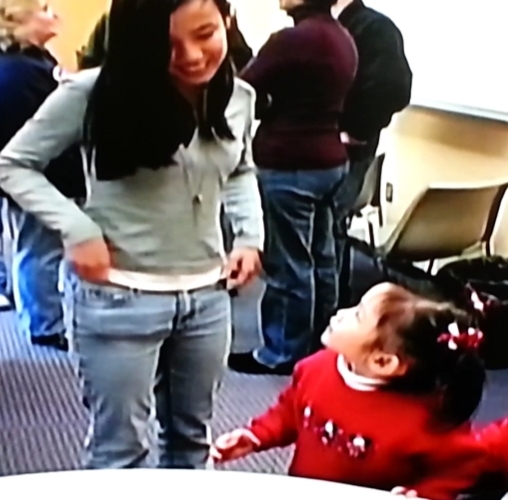 With my daughters, I do all that I can to make sure that they stay in touch with all of the other children that they were adopted with, to grow with each other. Only not wait until a sad event to get back together. But what was really cool for them to learn, was that I got to meet one of the actresses from the movie, as she and her brother were our facilitators who helped arrange and carry out the adoptions. Though her character in the movie was not flattering, her persona in real life could not be any more different. Very sweet and caring. 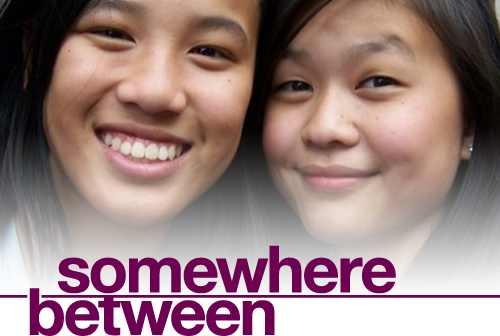 In fact, my oldest has already appeared in her first movie, though a cameo, in “Somewhere Between,” about four girls who deal with their adoptions and their future. 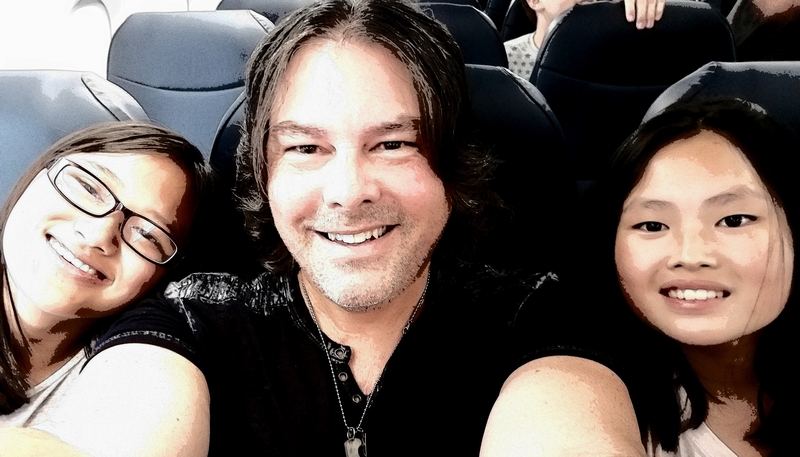 This was the longest period of time that I have had with my daughters since the divorce. We had a lot of fun. We made a lot of memories. And in spite of the many health issues I deal with, as a long term cancer survivor, and things that I can no longer do with them that I once did, there is still so much more for us. As my daughters learned, the Dad they knew when they were four, is the Dad they have now, only so much more.